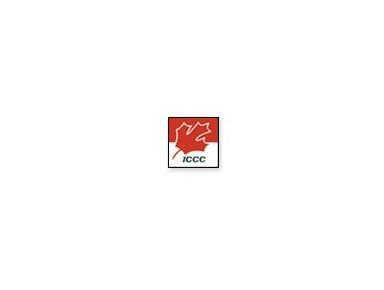 The ICCC is an organization dedicated to serving its members, the Indonesian-Canadian business community. We do this by providing regular information on business in Indonesia, by hosting events providing opportunities to learn about and discuss business in Indonesia and in Canada, and by representing the general interests of Canadian business to the Indonesian government. We also actively organize a number of social events to bring our members closer together. Many of our members are Canadians doing business in Indonesia, but we also have members from around the world, including many from our host country, Indonesia. One of our most important aims is to be a "bridge", either between representatives of various business interests or between business and government. The ICCC was formed in 1996 through the merging of two existng independent organizations. The Canadian Business Association which largely represented Canadian businesspeople in Indonesia, while the Indonesian Canada Business Council which largely consisted of Indonesian businesspeople interested in closer business ties with Canada. Feeling that much effort was duplicated, it was agreed that one strong organization was preferable to two smaller ones, and both organisations decided to merge. Subsequently we have expanded operations where now we also represent Canadian business interests in the International Business Chamber. This group actively lobbies the Indonesian government to ensure that the views of international businesses are heard when new legislation or regulations are being discussed. More information on our objectives, typical events and our work with the IBC can be viewed by clicking on the links above.